On March 30, 1867 Secretary of State William Seward signed the purchase treaty with Russia and set into motion historical events that have impacted people in very different ways. 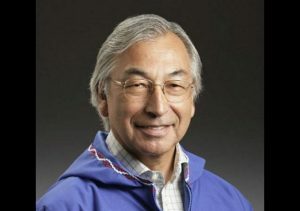 We’re featuring Willie Iggiagruk Hensley as he explores the various views of the Alaska purchase, and how understanding the past will help all Alaskans move toward a more inclusive future. This event took place on March 30th, at the Mountain View Library and was hosted by Tundra Vision, as part of their grassroots lecture series aspiring to bring Alaskans together through history. RECORDED: Friday, March 30, 2017 at Mountain View Library.